A year ago, Dervin Green didn’t know a basket toss from a back spot, a tuck from a toss. But this weekend, as the only male member of Polk State Cheerleading, he’ll compete in the Cheersport National Cheerleading & Dance Championships, where he’ll put his newfound knowledge of the sport — not to mention teamwork and perseverance — on nationwide display. “Ten years ago, I never would have thought I’d be a cheerleader,” said Green, 22, a Lakeland resident, who contributed to the squad’s recent win in the Junior College Division of the Florida State Fair Cheer Competition. 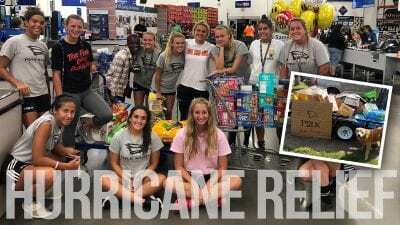 The story of how Green ended up at Polk State — and eventually a member of its cheerleading squad — is the kind that evokes both watery eyes and beaming smiles. A couple years ago, Green was a student at George Jenkins High School, making good grades and headed toward graduation. Then, in 2010, when he was halfway through his junior year, his younger sister, Kenya, transferred to Gause Academy, a school where students who have fallen behind can get back on academic track. Green didn’t want his sister to go to school alone, so he transferred with her. It was a move that meant leaving behind friends and not sharing in their senior-year events, but being with his sister was more important. “She’s my best friend,” he said. Kenya said going to a new school is always hard, but having her older brother there made all the difference. Green graduated from Gause in 2010. In the two years that followed, he spent much of his time at his church, St. Luke’s Ministries in Lakeland, where he sings in the choir and works with the youth ministry. His sister, meanwhile, had graduated from high school, too, and was enrolling at Polk State. That’s when Green realized he had to refocus on his own education. “I knew I needed to further my education to get a good job. 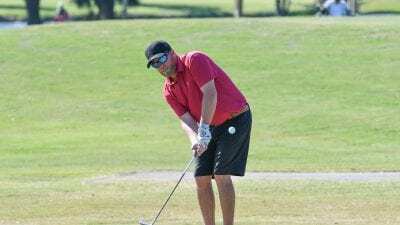 Polk State is close to home, so here I am,” he said. 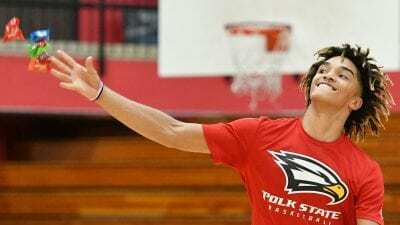 He began classes in the summer of 2012, and by the fall, had learned about Polk State Cheerleading, a program resurrected four years ago by Head Coach and Polk State alumna Brittany Carson. Green had always been naturally acrobatic, flipping and cartwheeling in his backyard. When he saw the energy and success of the squad, which in 2012 made its first-ever appearance at Cheersport, he thought he might be a good fit. “I got an email before our season was even over from this student who wanted to know when tryouts were,” Carson said, recalling her first interactions with Green last summer. During his tryout, Green explained that he’d never had any cheerleading, tumbling or gymnastics experience, which naturally made Carson a bit wary. But then Green started flipping across the floor of the Winter Haven Health Center, and Carson knew he belonged on her team. “He’s just been practicing in his backyard, but you would think he’s been a gymnast for 10 years,” Carson said. Green, of course, easily made the team, but the months that followed were far from a breeze. “It’s a lot harder than I thought. It’s taught me that you can’t just look at something and say it’s easy. You have to try it,” he said. During his first several practices, Green said there were many times when he wanted to give up. For instance, when he kept inadvertently hitting his teammates when trying to catch a flyer — a cheerleader who is raised into the air. Then there was the time, during his first Polk State Basketball game, that he attempted a tumbling sequence and fell on his backside. “I fell flat on the floor. I couldn’t tumble for three weeks,” he said. Through all those frustrating moments, Carson was right there, Green said, encouraging him to get right back up and try again. “She told me that we all signed up for the tough times. We’re all going to get hurt. But that I’m a great asset to the team and I’ll get better,” he said. Soon, Green realized, too, just how much his teammates were depending on him. He had previously run track, a more solo-minded sport, but now he was part of something bigger than himself. So Green kept tumbling, tossing, catching and practicing. And, just like Carson promised, he got better. Much better. The team, Carson said, just wouldn’t be the same without him. 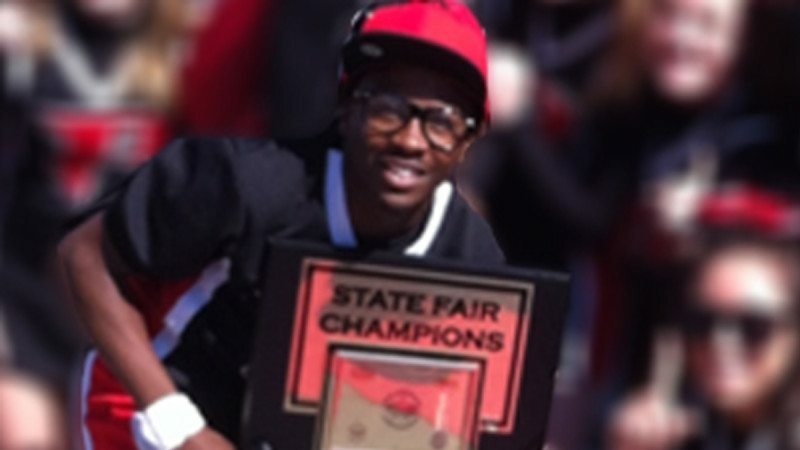 Green, who is also a self-taught singer and often sings the National Anthem at Polk State Basketball games and other venues, is pursuing his Associate in Arts degree from the College. Ultimately, he plans to complete a bachelor’s degree and pursue a career in massage therapy, though he also dreams of becoming a professional singer. No matter where life takes him, he knows the lessons learned while wearing the “Polktastic P” are ones he’ll never forget.